Since 2011 one pair of custom in-ear monitors has been my primary go-to earphones in my on-location recording rig, the Ultimate Ears Pro Reference Monitors (UERM). They have survived harsh outdoor recording conditions and have proven during long hours of recording to be comfortable, reliable, and musically accurate. Nothing, even the supercalafragalistic Jerry Harvey Laylas ($2725), has been able to dislodge the UERM from my recording rig. But last year at the RMAF’s CanJam, I was told that Ultimate Ears Pro was in the final stages of designing a replacement for the UERM called the Ultimate Ears Pro Reference Remastered (UERR) and with the same price as the originals, $999. 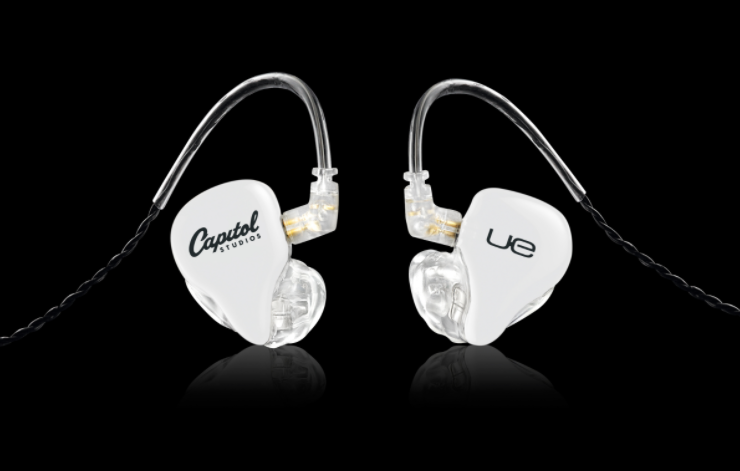 The Ultimate Ears Pro Reference Remastered are Ultimate Ear Pro’s second in-ear monitor design collaboration with Capitol Studios. The first was the UERM. Given that many users, including myself, found the UREM so harmonically spot-on, comfortable, and reliable, I wondered how Ultimate Ears Pro could improve the design? According to the company, the new Ultimate Ears Pro Reference Remastered offers “extended highs and lows” as well as the ability to “hear harmonic structure and overtones that are usually missing from most headphones.” But for many UERM owners the real question is, “Are these a worthwhile upgrade?” Let’s see. The Ultimate Ears Pro Reference Remastered custom in-ear monitors use three balanced-armature drivers in each capsule with two crossovers between the three drivers. Instead of relying on off-the-shelf balanced-armature assemblies, UE Pro “True Tone” drivers are made to Ultimate Ears Pro’s specifications by Knowles, a leader in the manufacture of balanced armatures. According to Ultimate Ears Pro these custom drivers not only extend the frequency range, but also deliver flat frequency response up to 18kHz. When fitted properly, the UERRs are capable of -26dB of isolation. I was hoping to include additional technical details, such as the crossover frequencies, but my company contact at Ultimate Ears Pro “as per company guidelines” was unable to furnish that information. The possibility that an end-user could reverse-engineer a set of in-ears from any reviewer’s technical description is highly unlikely. I think it’s equally farfetched that a competitor could gain any advantage from the same source. Unfortunately, once the technical info and details are exorcized all that’s usually left is marketing hype. The ear impressions for my pair of Ultimate Ears Pro Reference Remastered were done at the 2015 CanJam event at RMAF. Unlike the last time I had impressions made by Ultimate Ears Pro, these impressions were made using Ultimate Ears Pro’s new 3-D laser-mapping process in lieu of the more standard silicone mold methodology. The silicone molding process, which I was familiar with, injects silicone into your ear where it hardens into a mold used to make a second mold, which is then used to make the actual earpieces. With the laser-scanned process the laser data is loaded directly into a software app that can generate the second mold directly. Using the laser process bypasses a lot of the handwork needed to insure a good impression (it’s all done on a computer screen), but it is not without its own shortcomings. The primary problem with the laser scan is that sometimes the laser can’t properly read some parts of the ear due to debris or hair. In theory a laser scan is quicker and less intrusive than the silicone impression method, but in actuality the process is very similar for the person whose impressions are being taken. In both cases a bite-guard is used to open your jaw slightly. My own laser scan was not without glitches—one particular section in both my ears required multiple passes with the detection wand before accurate data was acquired. Time-wise the laser process took as long, if not longer, than a conventional silicone impression. After I received the Ultimate Ears Pro Reference Remastered in-ears I compared their fit with my Ultimate Ears Pro Reference Monitors. I mentioned earlier that my UERMs are the most comfortable in-ears that I owned prior to the arrival of the UERRs. After trying both in-ears I was delighted to discover that the new UERRs fit as well as my old UERMs. I was also surprised by how perfectly each pair of Ultimate Ears Pro monitors fit and how similar the fit was from one to the other, especially considering how different the impression-making process was. When I compared the specifications between the old UERMs and the new UERRs the biggest difference was sensitivity: -112dB at 1mW for the UERM versus 100dB for the UERRs. This means that the UERRs are noticeably less sensitive than the UERMs. And while this looks as if the UERRs might be a more difficult earphone to drive to satisfying volume levels, I had no issues with any of the portable players and field recorders that I use regularly. And with some DACs, such as the Grace m9xx, the UERR proved to be a better match than the UERMs. While the UERMs had a slight amount of low-level hiss, the UERRs were dead silent. As you would expect from a premium in-ear, the Ultimate Ears Pro Reference Remastered comes with a removable interchangeable headphone cable. The cable is both strong and lightweight and exhibited no microphonic tendencies. The standard cable is terminated in a single-ended mini-stereo connection, but the UERR comes with a ¼" stereo adapter. The UERR also comes with a round metal case personalized with your name. It’s one of the few missteps in an otherwise well thought-out package. The problem with the metal case is that unlike the case for the UERM, which had a sliding latch to keep it closed, the UERR case relies on nothing besides resistive pressure to keep its top in place. When you turn the case upside down the top falls off and all the contents are unceremoniously dumped onto whatever surface lies below. I immediately found another case for my pair of UERRs. I suggest relegating the original UERR case to holding bottlecaps or pledge pins. The original UERM came in one color, black, with no options for customization. The Ultimate Ears Pro Reference Remastered are available in a plethora of colors and designs, all of which you can view on the Ultimate Ears Pro website. They have both translucent and opaque finishes as well as metallic and carbon-fiber. The “designer edition” leans toward the macabre, but if you’re a rocker something might tickle your fancy. My review samples, alas, are the most boring combination available—clear with white covers inscribed with the Capital Logo on one side and the Ultimate Ears Pro logo on the other. But this configuration is tricky to do cleanly—any excess glue or ragged seams show up quite clearly. The RRs had a slight amount of glue-haze in a few areas.